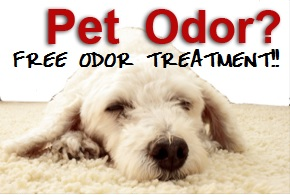 CitruSolution Carpet Cleaning offers FREE pet stain removal in Alpharetta Georgia. We hate to use the term “stain,” as that usually means it isn’t coming out, so we prefer to say spot. Pet spot removal is probably more accurate. Either way, we don’t think customers should be penalized, or charged extra, for having four-legged family members. Citrus juice has long been revered for its cleansing and dirt-cutting capabilities. It’s used in dish soaps, grease cleaners and countless other cleaning solutions. 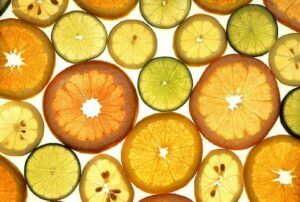 Our Alpharetta carpet-cleaning professionals take advantage of the power of citrus. CitruSolution is a drier application when compared to other carpet cleaning solutions. You don’t have to worry about damp, mold-susceptible carpets when you choose a professional that uses only citrus carpet cleaner. CitruSolution cuts through soil and grease stains more effectively than the soapy solutions other carpet cleaners in Alpharetta use. CitruSolution keeps your carpets cleaner longer. Limited moisture means that deep stains aren’t drawn back up into the fabric of carpet surface. CitruSolution smells great. Your house smells like fresh orange peels after the cleaning professionals are done. If you’re in Alpharetta, don’t waste your time with steam cleaners or other carpet cleaning professionals. You deserve a service that addresses your cleaning needs in the best way possible. You also deserve professionals who only deliver the service you need and don’t try to pressure you into purchasing services you don’t want. Our Alpharetta area carpet cleaners are here to answer your questions. Call 770.652.0630 to learn more about CitruSolution. 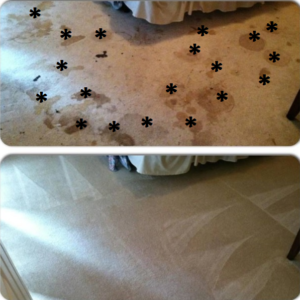 So when you need pet stain removal Alpharetta GA, please keep CitruSolution Carpet Cleaning in mind.